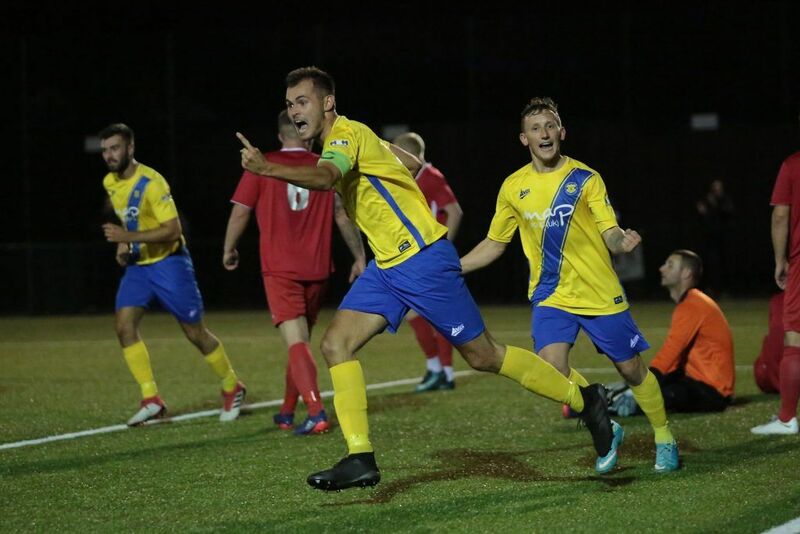 Stockton Town welcome North Shields to the Coverall Stadium on Saturday looking to bounce back after going down to Consett in a thriller on Wednesday night. It was a topsy turvy affair against Consett as the two sides served up a third consecutive seven goal thriller on Teesside. The result marked 26 goals between the teams in just four outings. Regardless, Stockton came away empty handed and will be looking to return to winning ways with the visit of North Shields. 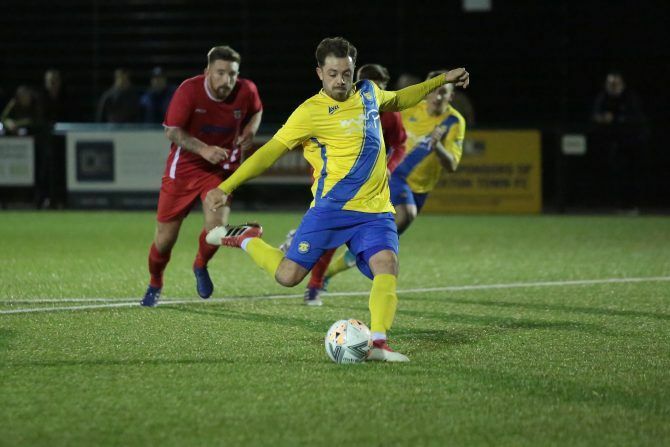 As one facet clicks into place another seems to slip at the moment and manager Michael Dunwell will undoubtedly be pondering over how a return of six goals in their last two games has yielded just one point for The Anchors. Stockton will need to be at their best to overcome a North Shields side that has recruited and improved since the two sides played earlier in the season. Anchors fans have been spoilt for goals in recent games but they’d undoubtedly give up a few of those in return for three points on Saturday. Heading in to their fifth successive season in the Northern League’s top flight, North Shield have become accustomed to competing at the top end of the division. They followed up three consecutive top five finishes, during which they lifted the FA Vase in 2015, with a respectable eighth place last term and maintain high hopes for another positive push for honours this season. Despite their pedigree, they endured a winless start to the season in all competitions. A disappointing opening to the league campaign, which began with three consecutive defeats at the hands of Bishop Auckland, Ashington and Blyth AFC (which has been erased due to Blyth’s withdrawl), was compounded by crashing out of the FA Cup away to Consett. Shields only truly got on track when they sealed a 3-2 home victory over The Anchors. Since then they have been buoyed by the signing of several key players from the now defunct Blyth AFC and things are beginning to look a lot rosier for The Robins as they have perched themselves one place above Stockton in the table. A mercurial attacking midfield, who boasts Darlington, Blyth Spartans and Whitley Bay amongst his former clubs, Robinson demonstrated the danger and quality he poses on Tuesday night. With the game seemingly ebbing away from North Shields, his stunning goal from the half way line two minutes from time got his side up and running in the league. Robinson has enjoyed a decorated career that saw him lift three FA Vases during his time at Whitley Bay. His ability to score goals from midfield has long caught the eyes of some of the region’s top non-league clubs and despite entering into the twilight of his time as a player, he has demonstrated he still has the ability to make the headlines at this level. Adam Nicholson has scored four in his last three games. Stockton provided North Shields with their first win of the campaign when they visited the Daren Persson Stadium earlier this season. The Anchors were missing several key players and a brace from Mikey Roberts wasn’t enough to prevent his side from going down 3-2, a first league defeat of the season. Shields enjoyed a winning record over Stockton last season, winning two of the three fixtures between the sides. A 4-1 hammering at “The Morgue” would be The Anchors’ sixth consecutive defeat in a run which would see them open their league season as a Northern League Division One club with eight straight losses. Stockton would get their revenge on the road in January in the League Cup third round. A last minute winner from Adam Nicholson followed a Jamie Owens equaliser as Stockton came from behind to secure their passage to the next round with an excellent 2-1 away win. The rubber match would come just ten days later when Stockton welcomed North Shields to the Coverall Stadium for the first time. The Anchors had put their rocky start behind them and begun to establish themselves in the division by this time. Despite their turnaround, Stockton were unable to prevent The Robins from taking the points north and found themselves on the end of a 3-1 reverse.